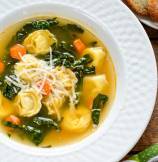 A deliciously simple kale soup with flavorful lite broth, creamy Tortellini pasta and a touch parmesan. 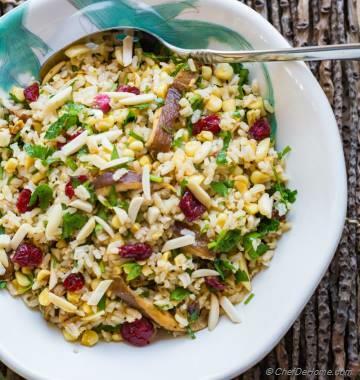 This soup speaks "comfort" without undoing your diet. Oh, and if you have some leftover Tortellini pasta in refrigerator?! 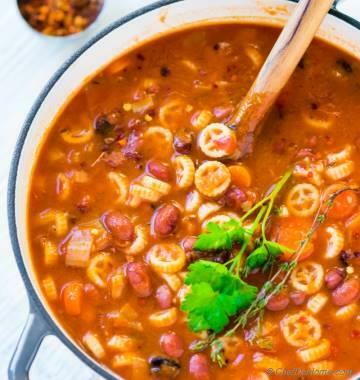 You can serve your family a delicious and comforting soup for dinner today! A rustic bread loaf will be best to dunk in the warm broth. I'm addicted to serving soups in winter. Recently, I bought heat-safe containers with lid and spoon to pack lunch for dinner. The base for any good clear soup is broth or stock. I love using vegetable stocks to flavor soups. However, for this soup I specially used homemade Chicken Stock instead of vegetable to add some more depth of flavor. 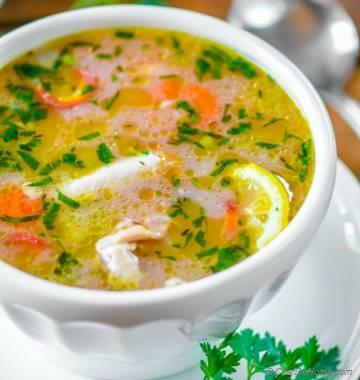 Honestly, chicken stock also boost nutrients in this simple soup without overloading it with calories. 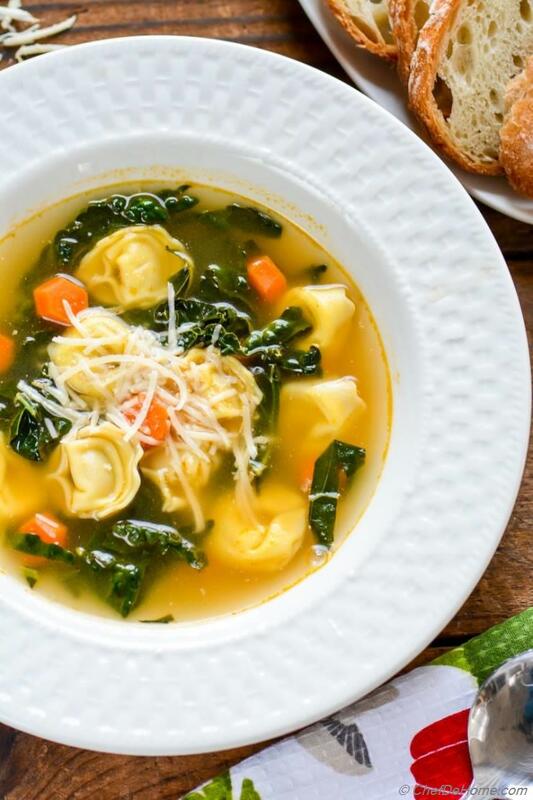 Kale Tortellini Soup comes together super fast. 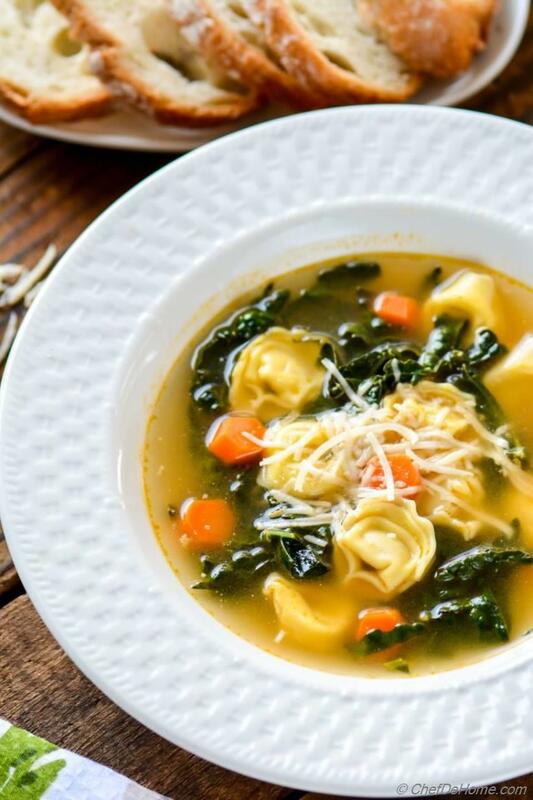 I hardly have to think twice to serve us a bowl of 'Tortellini Soup' for dinner.... any day of the week!. When Kale is simmered in stock for few minutes .. stock picks up nice earthy flavor of kale making it taste even better. Also, Tortellini is cooked in the soup to give it a little body. If I don't have Kale, I often add any leafy sturdy green I can find in refrigerator. From sturdy I mean greens which can stand heat of cooking soup in a pot for few minutes. Specially the ones that won't turn mushy or tear-apart. Like my favorites are mustard greens, swiss chard or daikon greens. Incase I don't have these, I also sometimes add a handful of spinach instead.... But add after cooking the soup since spinach cooks very fast. I guess dinner I s calling me. So I hope you all are enjoying your day. I hope this bowl of soup will make winter days more cozy. 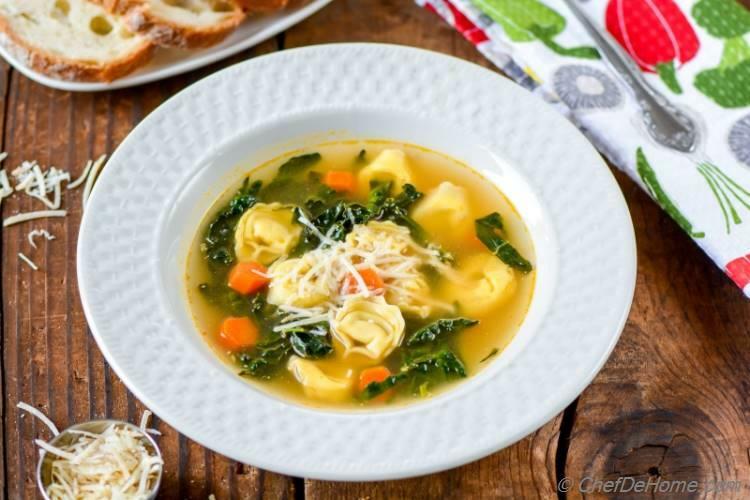 Smart Swap Replace Cheese Tortellini with Pumpkin Tortellini to make it even more lite. 1. Heat 1 teaspoon oil in a pot. Add kale and carrots, and saute for 1 minutes until kale just started to soften. 2. Add chicken stock with 1.5 cups of water. When liquid comes to boil, drop in tortellini and cook for 4-5 minutes or until tortellini is done to your liking. Egg pasta such as Tortellini cook super fast. So keep an eye or just follow the cooking instructions on pasta package. 3. Add lemon juice, taste and adjust salt and black pepper. Transfer to serving bowl, top with parmesan cheese and serve. thanks, Manali! It certainly is very easy soup. I think kale tastes very delicious in clear soups. So no wonder there are many recipes out there.